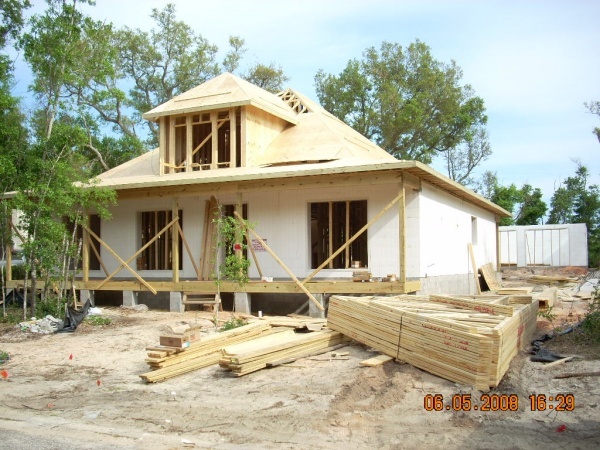 The Landfall project consisted of building a 3,405 SF home numerous porches and a detached 3-car garage with a separate studio apartment above the garage. 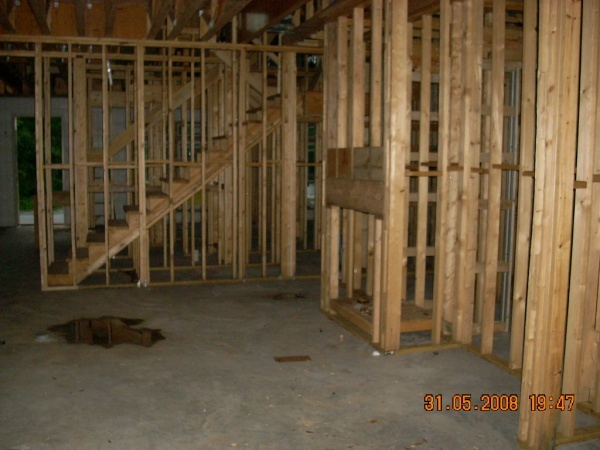 The total area under roof was 5,611 SF. 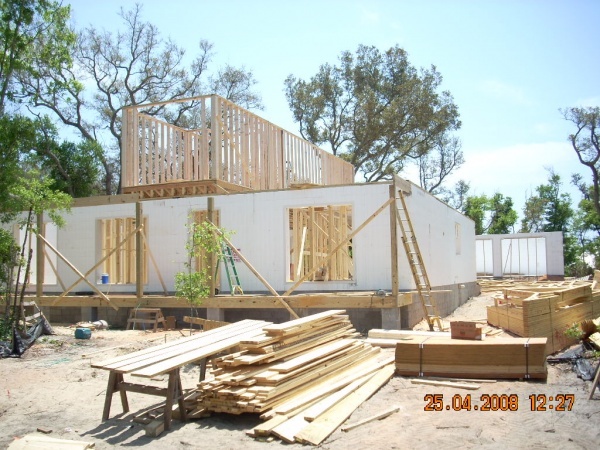 This project was unique due to the exterior wall construction using Insulated Concrete Forms (ICF). 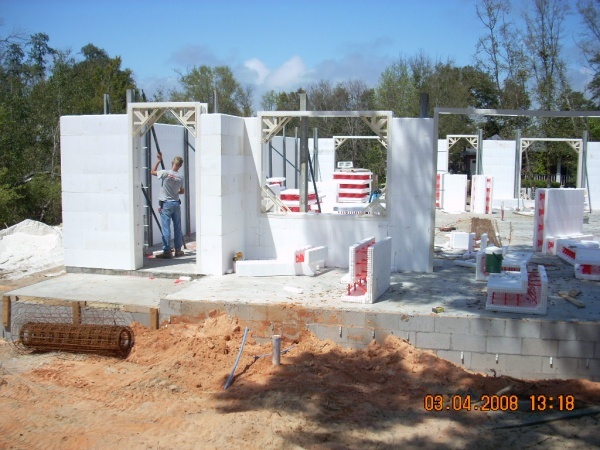 ICF blocks are constructed with styrofoam and a heavy duty plastic endoskeleton. 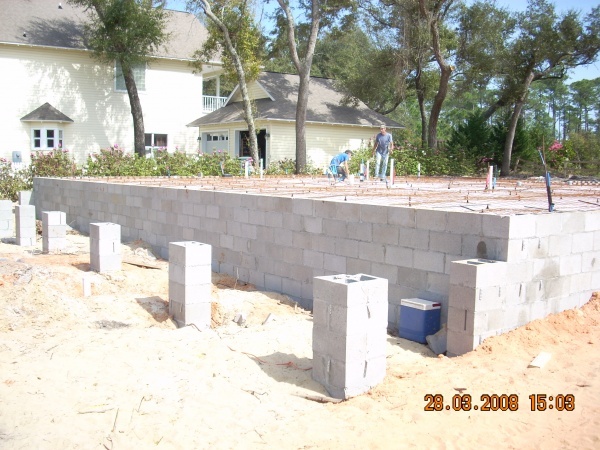 The interlocking ICF blocks were stacked and reinforcing steel bars (rebar) were installed within the blocks; 3,000 PSI concrete was poured into the blocks resulting in a solid, reinforced 6″ thick concrete wall. The exterior of the home was clad with James Hardie ColorPlus cement board siding and was trimmed out using Azek brand solid PVC trim boards. 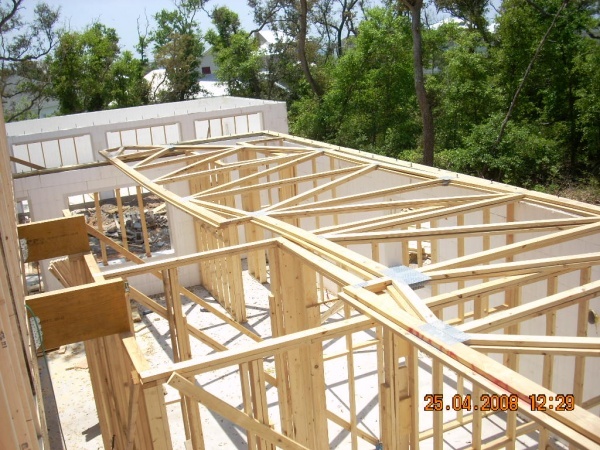 The roof consisted of Galvalume AG Panels for its durability, energy efficiency, strength and cottage style looks. The underside of the roof decking was sprayed with Icenene style spray foam insulation. All windows and doors were made with Impact Resistant glazing. The interior was painted using Sherwin Williams Harmony No VOC paint. The flooring was a mixture of Armstrong, Hand Carved engineered wood flooring, Ragno 20″ Porcelain tile, and horizontal strand bamboo flooring. 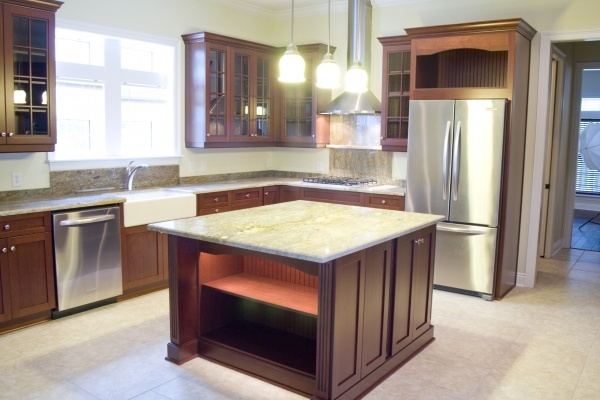 The kitchen was dressed with custom cabinetry, granite countertops, and high-end stainless steel appliances. All plumbing fixtures were Kohler brand. The house was serviced by Natural Gas, enabling two (2) Rinnai Tankless Hotwater Heaters, a Generac 17kw stand-by generator with automatic transfer switch, a gas range, and a 42″ gas fireplace. 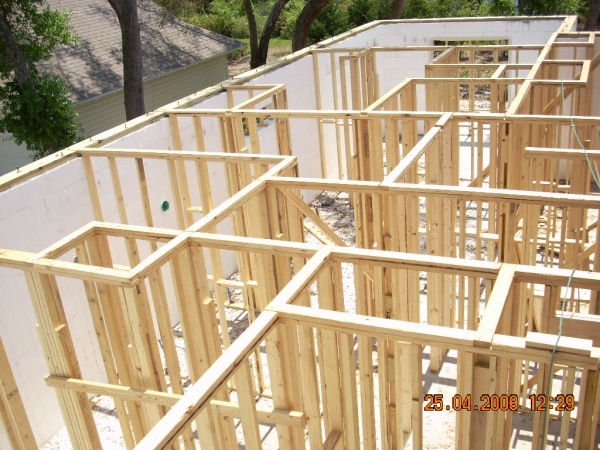 The HVAC consisted of three (3) high efficiency Carrier Heat Pumps.